Please visit my local astronomical society. This home page is dedicated to amateur astronomy. I have combined my love for astronomy and computing to produce and maintain a number of astronomy web sites. 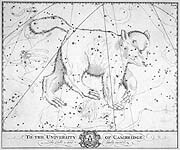 Most of these sites are for amateur astronomy and all are for societies and organizations based in Britain. This domain mikeoates.org is also the name of a Minor Planet named after me 'mikeoates 68948' by it's discoverer Sebastian F. Hönig. See my comet page for more information. I also maintain my companies web site electroplating.co.uk the home of Phoenix Electroplating Ltd. I now have an astrobin site which holds my latest astrophotos. All of the web sites are housed at Zen Internet. My eldest son, Simon Oates runs a popular website: Financial Expert.